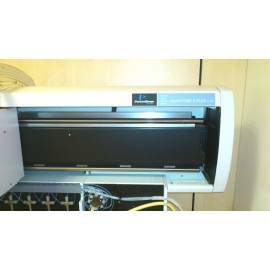 Dispenser liquid automatic Perkin-Elmer Multiprobe II plus. Volume from 100 to 500 microliters. 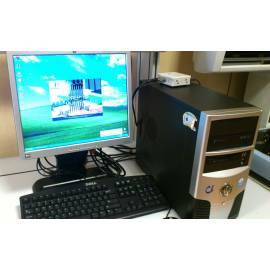 Includes an arm 8-channel, a shaker with 6 positions, PC, software, and instruction manual. * Assays MOLECULAR BIOLOGY : Extraction and Purification DNA, PCR. * Various processes such as collection of supernatant, dilutions, filtration. • The arm 8 independent channels for liquid handling. • Accuracy and reliability in pipetting. 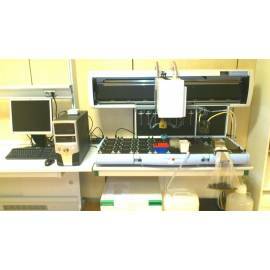 • Software adaptable to all types of testing of liquid handling. • Versatility in the handling of liquids. • Liquid detection (spikes conductive). • Possibility of use of disposable tips or fixed, s'oon process (reduction in spending). 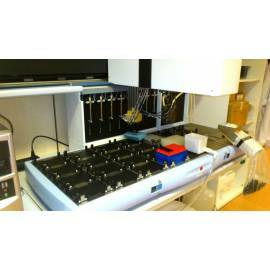 - Shaker with 6 positions, which allows the orbital shaking action of the different labwares.